We cover everything that you need in air conditioning servicing for all Mitsubishi Electric corporations in Singapore. Our company has offered excellent servicing for residences as well as commercial facilities in the Singapore area for a number of years. We're seeking to be the one stop repair for all of our clients who have a Mitsubishi air conditioner. We have a commitment to delivering high-quality repairs and maintenance services for all kinds of air conditioning systems. Our large client base understands that we're the ideal choice for thousands of Mitsubishi air conditioner owners in the Singapore area. Our customers rely on us and our modern methods for repairing their common issues with their air conditioners as well as coming up with creative solutions. We've made it our goal to ensure that everyone who resides in Singapore is comfortable by ensuring that our air conditioning units are working year round. We offer preventative maintenance, chemical cleaning as well as repairs and troubleshooting for all units. 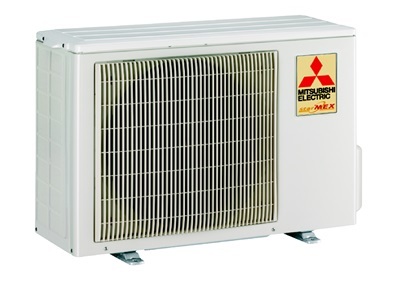 Mitsubishi has been cooling homes and offices for decades in the Singapore area. With a huge success rate, they've become a favorite of many of our clients. Today, they are the most popular kind of air conditioning system on the market today. They are typically called outdoor units, however, there are inverters and indoor units as well. Outdoor units are a part of the air conditioning system that is staged outside of the home. It's composed of a condenser and a compressor that work to draw air in from outside. Mitsubishi has a Mr. Slim series that is very compact for outdoor. It is able to cool a small to a medium sized room easily. Since it's compact, it is very easy to install. VRF is a model that is a part of a larger type of air conditioning system and it can cool entire buildings. Many of our clients request outdoor units that match the needs for their space. These are indoor units with a fan coil that will deliver cool air inside of a room. They have filters to remove dust and other particles so that they won't enter the room. Other than the inverter kind of air conditioner, indoor units also have ceiling units and cassette kinds of units as well as split air conditioners. Ceiling units are the PEAD series and work well. There are also cassette series that have R410 PLY series as well as the MLZ series. Split air conditioners include the MS as well as the MSZ and the MSY series. Inverter units use an inversion technology that has a rectangular unit and cools the room. It is an energy saving method that will balance the heat from the outside with the temperature inside of the room. Wall mounted inverters are very popular and work well. They have the MSY series as well as the MSZ-GC series. Just give us a call and our team of specialists will get to your location on time to help you get it done.